Did drones really interfere with flights at Newark airport? 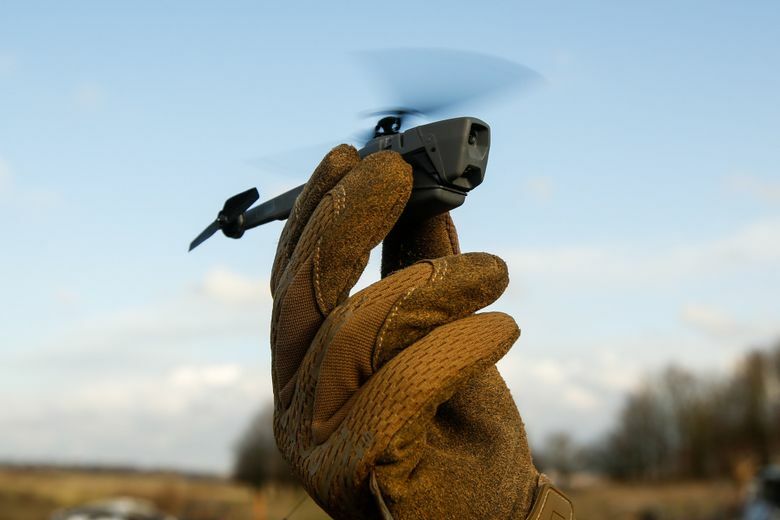 As drones proliferate, pilots are increasingly reporting them in the skies. (Bloomberg photo by Luke MacGregor). The FAA had initially said the drones were spotted near Teterboro Airport, about 17 miles north of Newark Liberty International Airport. A day later, agency officials said the drones were operating about nine miles from the Newark airport in airspace used by incoming flights. One day after reports of drone activity near Newark Liberty International Airport temporarily halted flights, there are questions about whether the unmanned objects spotted in the New Jersey sky were indeed drones. Officials with the Federal Aviation Administration (FAA) said that at 4:44 p.m. on Tuesday, they received two reports of possible drones operating near the Newark airport. One came from a Southwest pilot and the other from a United pilot who saw what each believed was a drone in the air as they prepared to land at Newark. However, an FAA spokesman said Wednesday, the agency has been unable to independently confirm the sightings. “We continue to work with local law enforcement to find additional evidence,” the spokesman said. The agency had initially said the drones were spotted near Teterboro Airport, a smaller facility about 17 miles north of Newark. On Wednesday, they said the drones were operating about nine miles from the Newark airport in airspace used by incoming flights. Industry experts, however, are pushing back against the reports. The objects could have been balloons, plastic bags or space junk, they said. Brendan Schulman, spokesman for DJI, the world’s largest drone-maker, said the pilots likely saw something in the air and that it’s unlikely it was a drone. He said previous reports of drones flying near Gatwick and Heathrow airports in London have made people more “predisposed” to assuming when they see something in the air, it’s a drone. Federal officials are wrestling with how to regulate drones as their numbers continue to grow. Government officials estimate that more than 1 million are already in use.